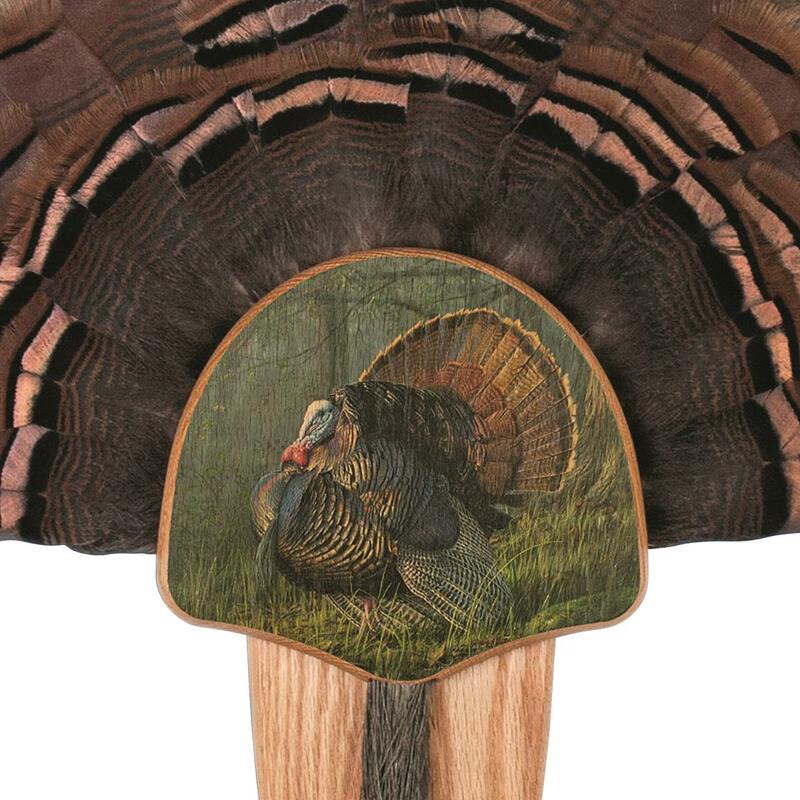 Show off your trophy on crafted hardwood with the Walnut Hollow® Oak Mount Kit. Beautifully designed with a digital King of Spring image by the Hautman Brothers embedded into the wood. Complete with hardware and easy-to-follow instructions. It's everything you need to create an elegant fan and beard display while saving some cash. Dimensions: 11.5" x 7.25" x 1.63"
Walnut Hollow Oak King of Spring Turkey Display Kit is rated 5.0 out of 5 by 5. Rated 5 out of 5 by Oxman from Outstanding Value Throughout Superb quality, great craftsmanship, very sharp looking! 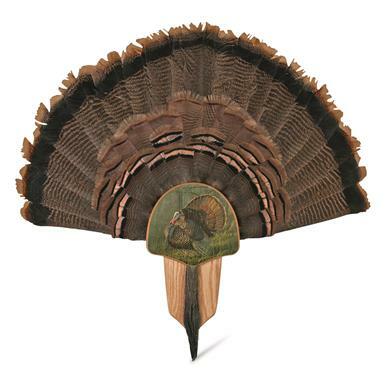 These are the best looking Turkey Fan Display kits I have found to date. I have 7 of them in various designs. Just sharp display kits, must buy, price is very, very reasonable! Rated 5 out of 5 by JAB1 from EASY to do! Excellent directions! Will buy more and donate to the disabled hunt for next year! Rated 5 out of 5 by Pearly from Very easy Easy to set up, liked the turkey print on the front. Rated 5 out of 5 by RonC from Walnut Hollow Oak King of Spring Turkey Display Kit Made a very nice mount and at a reasonable cost. I was even able to mount the legs with their 1 3/8" spurs on either side of the beard. California compliant for a "featureless" rifle build. Gate folds down, and measures 40" x 71"